The Budapest Process is a consultative forum with over 50 governments and 10 international organisations aiming at developing comprehensive and sustainable systems for orderly migration. It is one of the longest-standing cooperation frameworks on migration for Europe and its eastern neighbours and during its more than 20 years of operation, the Budapest Process has developed from an information sharing tool between European countries in a pre-EU enlargement setting to a far reaching Europe-Asia forum for improving migration management. The Budapest Process provides an informal and flexible framework for states and other stakeholders to meet on an equal footing and address issues of common concern. Through dialogue, information and experience exchange, a common understanding of migration concepts and policies is promoted. The Budapest process also offers a platform for policy coordination as well as for facilitating concrete project cooperation. Adhering and adjusting to the priorities of participating states is a key feature of the process and has contributed substantially to its success. Celebrating its 20th anniversary in 2013, the Budapest Process saw a landmark development when the Istanbul Ministerial Declaration on a Silk Routes Partnership for Migration was adopted by the participating countries at the 5th Ministerial Conference in Istanbul, Turkey. Over 250 representatives from 53 countries, as well as international organisations and other stakeholders, attended the conference, which was hosted by Turkey, the Chair of the Budapest Process. The Co-Chair of the Budapest Process is Hungary. Read more about the Istanbul Ministerial Conference and the adopted declaration here. The Istanbul Ministerial Declaration forms the framework of the Budapest Process for the years to come and has been acknowledged as one of the most far-reaching and balanced declarations dealing with migration ever adopted by such a diverse group of countries. The main objective of the partnership is to promote dialogue and mutual cooperation in managing migration flows taking place along the Silk Routes. Six priority areas were identified for cooperation: (1) legal migration and mobility, (2) integration of migrants and counteracting phenomena such as discrimination, racism and xenophobia, (3) migration and development, (4) prevent and counteract irregular migration, facilitate return and readmission of irregular migrants, and combat criminal networks involved in smuggling of migrants, (5) prevent and combat trafficking in persons and (6) promote international protection. The declaration also brings some important elements to the forefront such as a clear commitment to respect human rights in migration management. Countries also declared to ensure the rights of the child and recognise gender specific-aspects of migration. In addition, the negative impact of discrimination, racism and xenophobia on societies and individuals, as well as the potential impact of environmental changes on migratory flows, are addressed. Read more about the Istanbul Ministerial Declaration here. 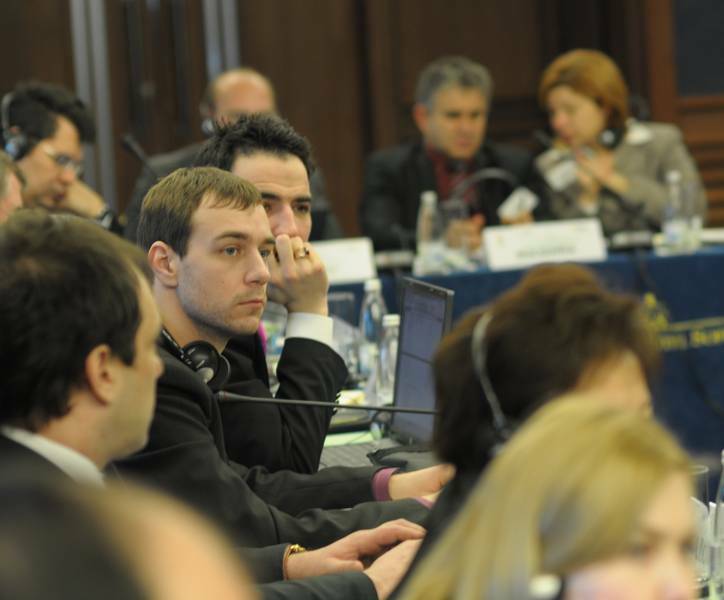 The Budapest Process is managed through annual Senior Officials Meetings gathering all participating states. In addition, the Istanbul Ministerial Declaration provides for a geographic working group structure, giving interested states in certain sub-regions an additional platform to discuss migration flows along the Silk Routes. The Budapest Process accordingly has three regional working groups on the Silk Routes Region, the South East European Region and the Black Sea Region. Information on upcoming meetings can be found here. Phase I (1993–2003) focused on cooperation with the Central and Eastern European (CEE) countries, at that time outside the EU framework, as well as with South East European countries. Phase II (2003 – 2009) brought Armenia, Azerbaijan, Belarus, Georgia, Kazakhstan, Kyrgyzstan, Moldova, Tajikistan, Turkmenistan, Ukraine and Uzbekistan into the Process and established a durable network to the east. Phase III: (2010 onwards) involved a further expansion eastward with Afghanistan, Bangladesh, China, Iran, Iraq and Pakistan (the Silk Routes Region) successively joining as new participating and observer states. Following the adoption of the Istanbul Ministerial Declaration and building upon earlier activities – especially - the project “Fostering Cooperation in the Area of Migration with and in the Silk Routes Region” (2011-2013), follow up projects have been initiated to translate the principles of the declaration into concrete, result orientated outcomes. The UK funded project “Bridging Measures for Migration Management in the Silk Routes Region”, implemented between May 2013 and April 2014, aimed at preparing the ground for larger capacity building measures in the Silk Routes Region and carried out initial assessments and pilot trainings on migration management for Afghan, Iraqi and Pakistan officials. The outcomes of the above projects and the preparations for the Ministerial Conference laid the groundwork for a more comprehensive and far-reaching capacity building project in the Silk Routes Region: “Support to the Silk Routes Partnership for Migration under the Budapest Process” (Silk Routes Partnership project) which started in February 2014 and will run for three years. The project, which is funded by the European Union and co-funded by Bulgaria, Hungary (lead partner), Netherlands, Norway, Sweden, Switzerland, Turkey, and the United Kingdom has as its overall objective to strengthen the migration management capacities of national authorities in Iraq, Afghanistan and Pakistan and in this way contribute to the concrete implementation of the Silk Routes Partnership for Migration. The Silk Routes Partnership project takes a comprehensive approach to capacity building for migration management, and will seek to develop sustainable training systems, data management and expertise, policy development frameworks, and support intergovernmental dialogues with and in the participating countries.